The FLIR ONE Pro helps you find invisible problems faster than ever, whether you’re inspecting electrical panels, troubleshooting mechanical systems. It helps also looking for HVAC problems or finding hidden water damage. 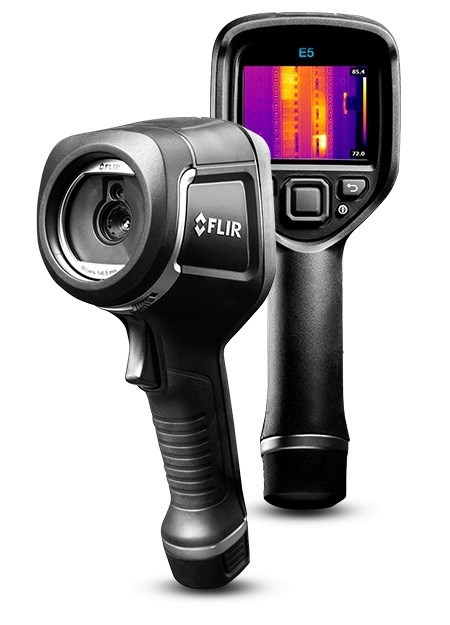 This FLIR ONE Pro-Series camera offers 4x the native resolution of the FLIR ONE Pro LT. It can assist with its sharper image clarity that’s was further enhanced by the revolutionary FLIR VividIR image processing. Measures temperatures more than 3x higher than any FLIR ONE model—up to 400°C (752°F). The Increased temperature range with a sensitivity that detects temperature differences down to 70 mK. Packed with powerful measurement tools. It is the FLIR ONE Pro that will work as hard as you do. With its 19,200 pixel resolution—a 4x improvement over the FLIR ONE Pro LT—and VividIR™ image processing. The FLIR ONE Pro gives you the ability to see more detail when it matters most. 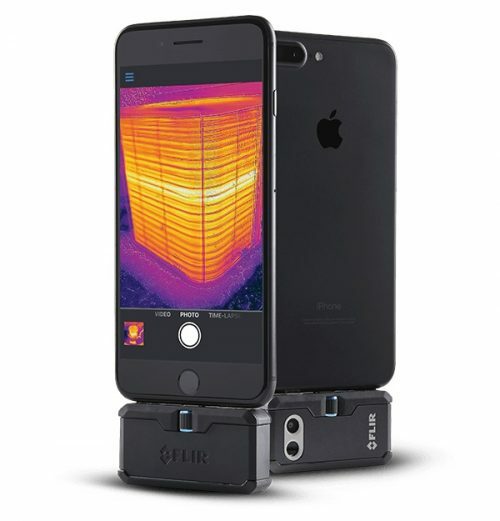 Measure temperatures between up to 400°C (752°F)—compared with a maximum of 120°C (248°F) for the FLIR ONE Pro LT. With up to three spot temperature meters and six temperature regions of interest. 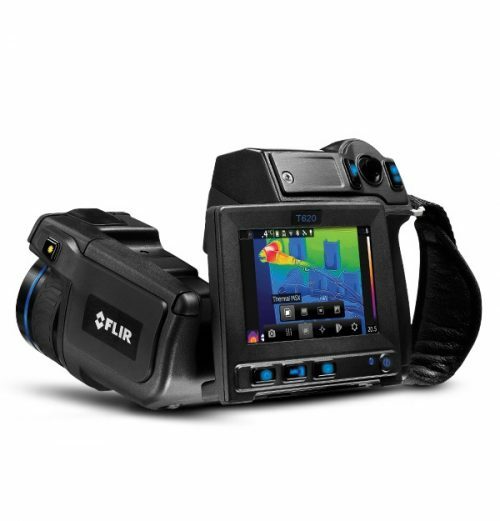 Built to take the abuse that working on a job site dishes out every day, FLIR One Pro is rated to take a drop from 1.8 meters and is built to last. Q: How are people using FLIR ONE® cameras? A: Applications are only limited by your imagination. Thermal imaging makes the otherwise invisible world of heat energy visible to your eyes. Everything around you either emits or reflects heat energy. Therefore, thermal imaging is used for home inspections, moisture detection, air leakage, HVAC, electrical panels, agriculture, DIY projects, and many other examples. Q: What are the differences between the FLIR ONE, FLIR ONE Pro LT, and FLIR ONE Pro? A: In general: thermal image resolution, temperature measurement, and thermal sensitivity. Q: Which FLIR ONE should I get for my application? For the DIY consumer, select the FLIR ONE Gen 3.